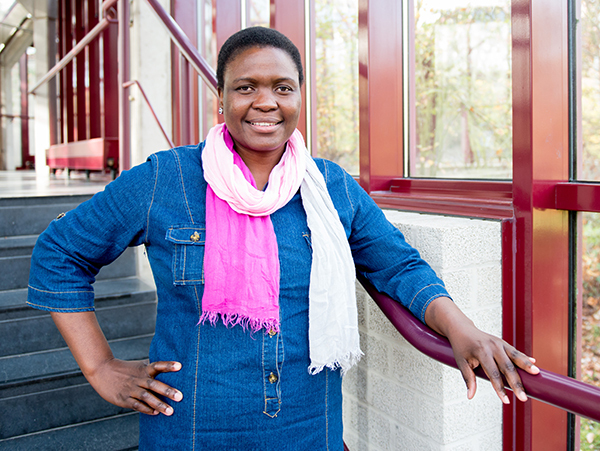 Dobane Patricia Sebola is working on a Joint PhD in Soil Science and Applied Economics at the Risk and Vulnerability Assessment Centre of University of Limpopo (South Africa) and Centre for Environmental Economics of Hasselt University (Belgium). She obtained her master science degree in Agriculture with a specialization in ‘Remote Sensing and GIS’ at the University of Limpopo. In her PhD she assesses the biological and economic productivity and spatial distribution of selected soil nutrients in no till and intercropped maize in diverse climatic zones in the Limpopo Province, South Africa. Her research interests are agricultural economics, climate change, conservation tillage, maize production and economic valuation.